Last Tuesday The Gardener declared that the tomato harvest was winding down. On Thursday he announced that he was wrong while simultaneously delivering three large baskets to the kitchen. Alrighty then. The freezer is pretty much full, and a dozen or so jars of canned tomatoes grace the shelves. And yet, the tomato harvest continues. It’s time to bring out the big guns. 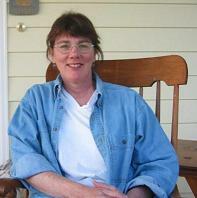 I know this blog focuses on simple, can-do solutions for an abundant harvest. Ideally no special equipment is required. Today we’ll make an exception. 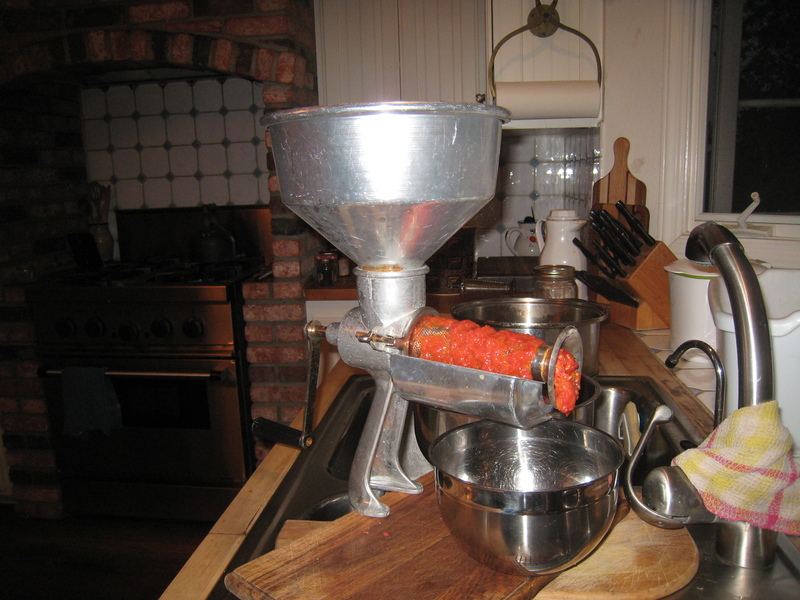 The Squeezo quickly and easily reduces 15 pounds of fresh tomatoes into a few jars (0r freezer containers) of rich, red sauce. Simply wash, core, and quarter the tomatoes. Drop them in a large pan and heat through. I usually bring them to a boil. Turn off the heat, and let them cool a bit. 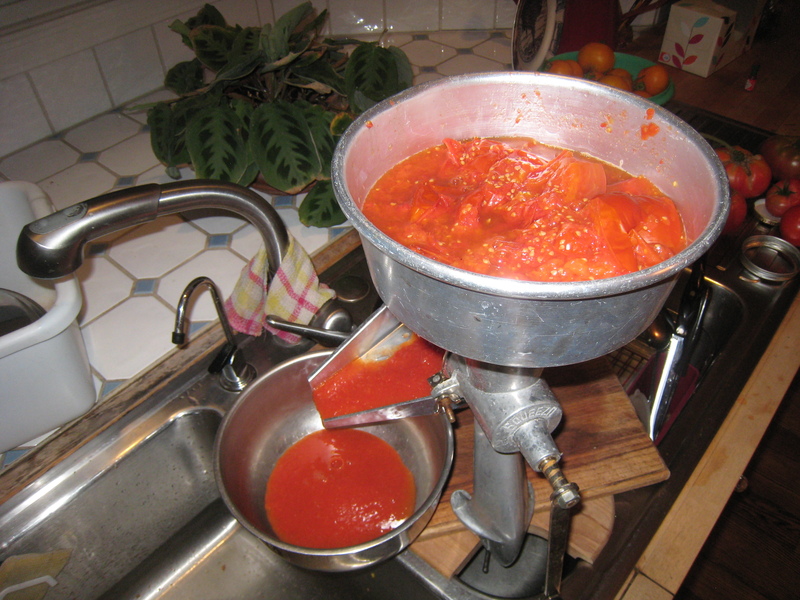 Now, pour the tomatoes into the top funnel, turn the crank, and collect the sauce in one pan and skins/seeds in another. It’s really that simple. Can’t deny that’s a great method – I just didn’t feel like heating up the oven…. Blight and drought have caused problems everywhere. The Gardener always assumes next year will be better. Hang in there.